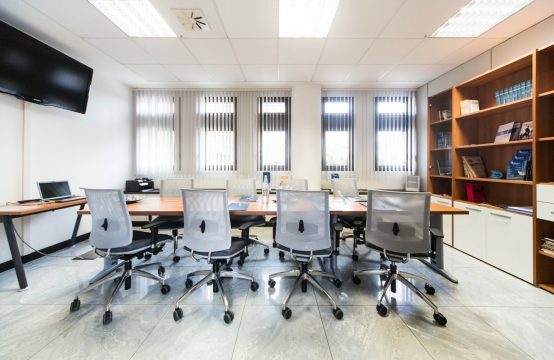 WHAT SPECIFICATIONS HAVE YOU FOR THE CONFERENCE ROOMS REQUIRED? 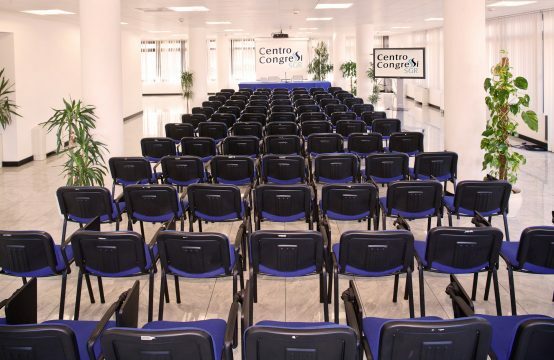 HAVE YOU PRIOR INFORMATION ABOUT THE CONFERENCE CENTER SGR? WOULD YOU LIKE TO BOOK YOUR VENUE? 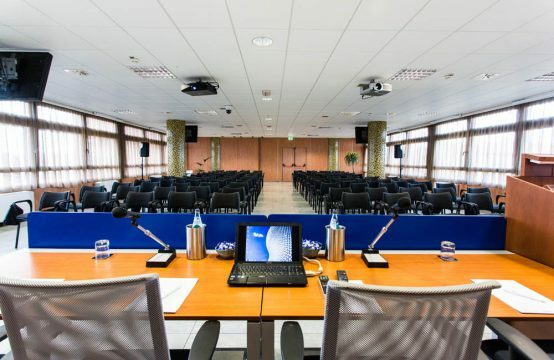 The Conference Center SGR is a flexible building capable of hosting different events simultaneously, it is innovate and with 8 multifunctional meeting rooms, all equiped with high profile technology, and a total capacity of 750 partecipants. 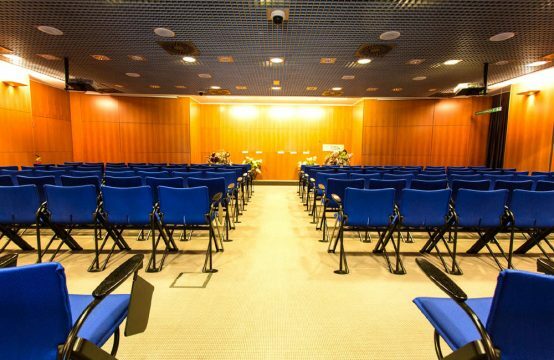 It offers personalised services for events, meetings and conventions. Also available are open air gardens and terraces, which are all suitable for coffee breaks, cocktails, parties and photo shoots. The suggestive and exclusive roofgarden restaurant “Quartopiano” boasts a beautiful panoramic seaview and the possibility to enjoy the cuicine of the Chef Silver Succi. Wide outside parking for cars and coaches. INSPIRE, CREATE, SOLVE these are the foundation of the Conference Center SGR . Our vast experience allows us to provide a wide range of selected suppliers and an efficient and specialised staff at your service to aid our clients in organizing a first class event. Our service offers excellence and quality, which we apply to every type of event hosted by us. We insure constant and guaranteed assistance starting with an individual study of a personalised budget. Situated in a strategic position just a short walk from the sea and some of the riviera’s finest hotels, easy reachable from any destination and with any vehicle.. 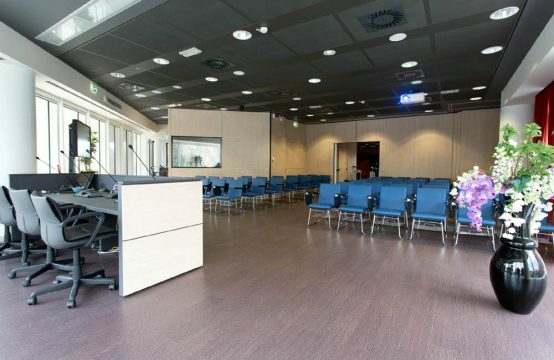 Audio, video with predisposed connection which allows wide flexibility of use and possibility to personalise its configuration, with the aid of our specialised staff always on call. Rimini offers everything, from historical sites to lively nightlife. Shopping, cafes, culture, wellness, its all here, for your entertainment after work. There is a large carpark with more than 300 parking spaces for both cars and coaches adjacent to our structure. Bar e Restaurant are situated inside the Conference Center SGR. We are always glad to hear comments and opinions sent by visitors and organisers. EXCELLENT MEETING. We organized a wonderful meeting; all staff were caring and helpfull. 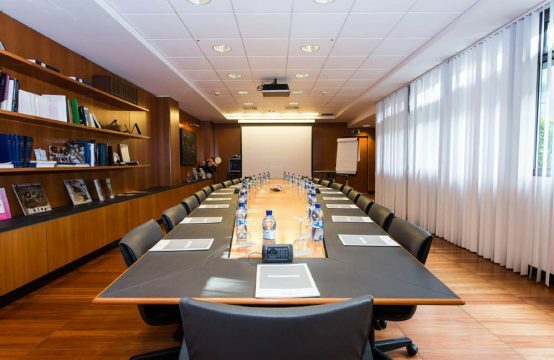 The meeting room comfortable and weel appointed. God the available parking. FIRST CLASS CONFERENCE CENTER. 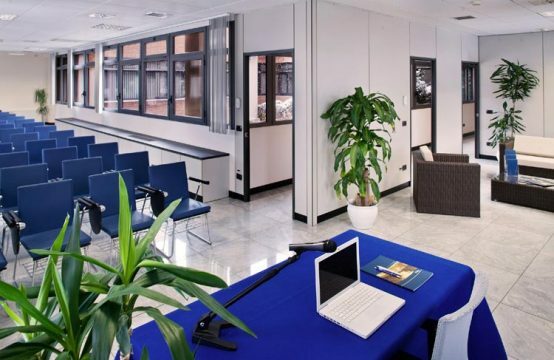 Comfortable, functional meeting rooms, excellent all other services, good parking. Certainly to be recommended. EASY TO RECH, GOOD PARKING. The center was great and functional for meetings, well stocked bar and restaurant. Parking nearby very convenient. WHICH CHOSE CONFERENCE CENTER SGR? 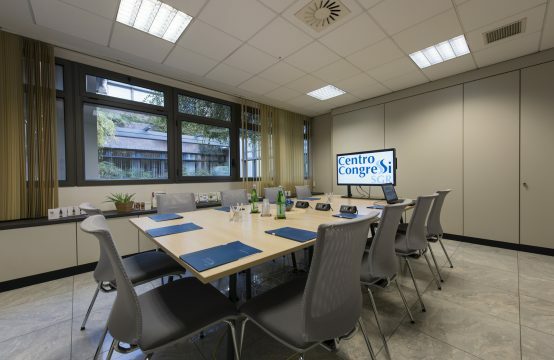 © 2019 Conference Center SGR. All rights reserved.